World of Darkness Wants You to Enjoy Some Earplay For Halloween | "DESTROY ALL FANBOYS!" Before horror books and movies, the spoken word was where it was at when you needed your spine chilled but good. The just announced partnership between Earplay and White Wolf Publishing to bring World of Darkness to iOS and Alexa enabled devices (such has Amazon’s Echo and Echo Dot) sounds like a very cool interactive endeavor horror fiction fans may want to take a peek at and a listen to soon. So, exactly what is this and why should you keep an ear peeled for it? Well, you have some reading to do, sir or madam. You like to read, right? Good. Here you go: Um, well… below the jump. Hey, I didn’t lie! Go look! Boston, MA – October 26, 2016 – Earplay and White Wolf today announced a new partnership to create a full length interactive audio experience scheduled to release this winter through Alexa and iOS. This will be the first immersive digital experience set in the World of Darkness universe. 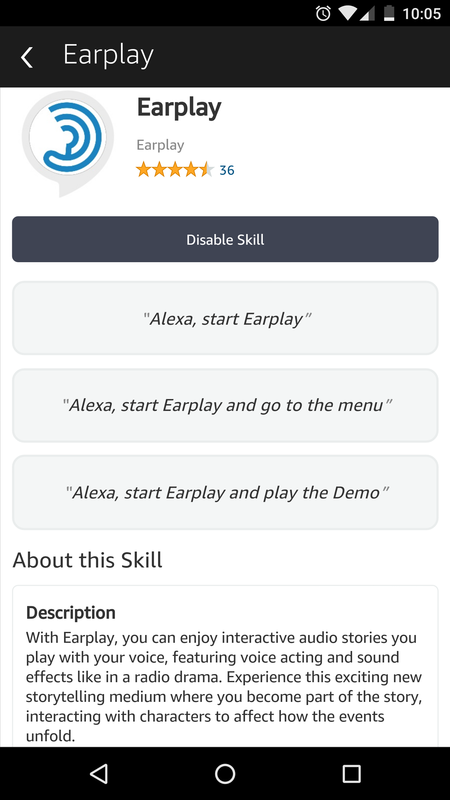 Earplay is currently available as a skill on Alexa Enabled devices. A free interactive audio teaser titled “The Orpheus Device” will be available soon through signup in the Earplay Alexa skill and in November in the Earplay iOS App. Both the teaser and the full length story are designed and written by Earplay creative chief Dave Grossman (Day of the Tentacle, The Wolf Among Us) and game writer Richard Dansky (The Division), the original developer of the Wraith tabletop game. The full product is currently in production with a release expected in December 2016. 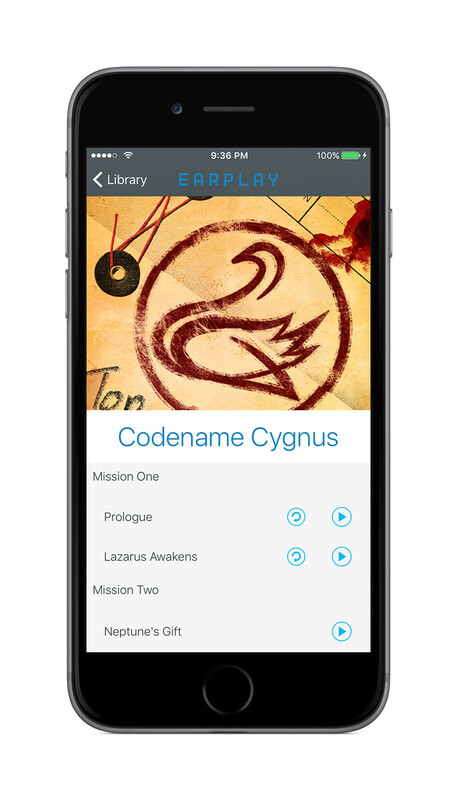 With Earplay’s interactive stories you play with your voice, audio entertainment lovers can experience a new storytelling medium where they become part of the story in conversation with characters. “Earplay is growing the new medium of interactive audio storytelling. We’re excited to serve role-playing fans who naturally participate in gameplay with their own voices,” said Earplay CEO Jonathon Myers. White Wolf revealed initial details to World of Darkness fans in New Orleans in September at their keynote presentation of the Grand Masquerade, the 25th anniversary celebration of Vampire: The Masquerade. “As we are developing the World of Darkness it is very inspiring to work with Earplay about how to bring our universe into the new medium of interactive audio storytelling,” said White Wolf CEO Tobias Sjögren. “The way you can now interact with a story fits the Wraith brand extremely well and we think Earplay has a unique ability to make an immersive experience for the players,” said White Wolf Lead Storyteller Martin Ericsson. Expected to release for Halloween, players will soon be able to access “The Orpheus Device” teaser experience, which highlights the unique qualities of audio storytelling with voice control. Players engage in a conversation with a malevolent Wraith of the Shadowlands by treating their Alexa Enabled device as an Electronic Voice Phenomenon (EVP) device built by ghost hunting organization Orpheus. The content is not necessarily suitable for children and parental guidance is suggested. This entry was posted in 2016, Commentary, DAF, Features, Updates and tagged Alexa, Amazon, Amazon Echo, Amazon Echo Dot, Apple, Coming Soon, Earplay, Holiday Gift Guide 2016, Horror, iOS, iPad, iPod, Reads, Scary Stuff, Tech, White Wolf Publishing, World of Darkness by geelw. Bookmark the permalink.